Imagine a romantic sunset ceremony on the beach, followed by dining and dancing under the stars. Edging the Gold Coast's most beautiful white-sand beach, Margaritaville Beach Resort Playa Flamingo is a romantic destination for your Costa Rica wedding. Our tranquil resort on Flamingo Beach offers a picturesque beachfront oasis surrounded by rainforest and natural beauty, as well as nightlife, dining and shopping. We offer several Playa Flamingo wedding packages as well as customizable wedding packages to help you create the most magical day of your life. Our certified wedding planner will help with everything, from tropical décor to custom menus and cakes designed by our chef. We can also assist with legal requirements, travel arrangements, music, and photography to ensure every moment is spectacular. Keep you and your wedding party feeling and looking fabulous at OnZen Spa and Salon, which offers health and beauty treatments. Start your forever after in our gorgeous Honeymoon Suite, and surrender to the ultimate in coastal luxury. Renew your vows or design the symbolic wedding of your dreams at our romantic beachfront resort in Costa Rica. You'd be surprised at how affordable your dream ceremony can be! All three of our Costa Rica destination wedding packages can be used for your symbolic or vow renewal ceremony. 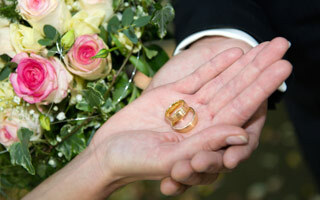 You will receive a symbolic ceremony certificate in lieu of a marriage certificate.